Now that we know for sure that Nikon is joining the mirrorless party with new full frame cameras, we anxiously wait for news, specs and images. And Nikon has just announced a teaser video to reveal just a bit more about their upcoming full frame mirrorless camera. 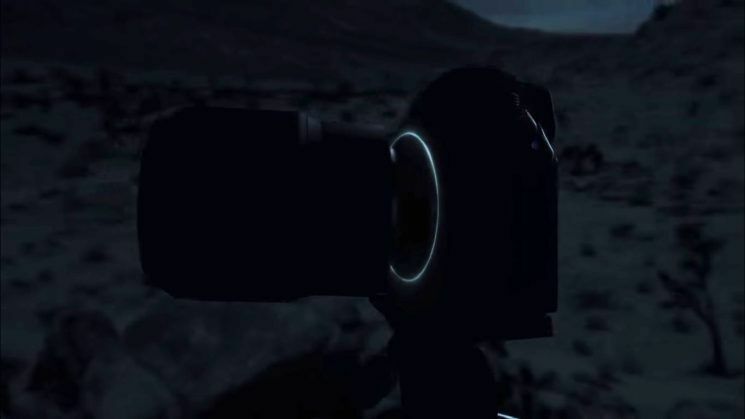 Nikon’s teaser video is titled Travel of Light and other than being wonderfully trippy, it shows a glimpse of what could be the new mirrorless camera with the accompanying lens. There is not much information in the video. But from what I can see, it looks like the camera will have a sleek and compact design. What we know so far (although it hasn’t been officially confirmed) is that Nikon will likely launch two full frame mirrorless cameras. One of them will have 24-25MP, and the other 45MP, although 48MP is also a possibility. There will also be a new Z-mount for these cameras, and Nikon has recently filed a patent for it. Both cameras will reportedly feature 5-axis in-body stabilization, EVF resolution of 3.6MP and 9fps in burst mode. As for the memory cards, it’s said that the cameras will support XQD and CF Express. The latest rumors from digicame-info claim that the new mirrorless camera will have worse battery life from the current Nikon DSLRs. On the other hand, it’s said that the video AF will be very good, “equal to Sony α7.” I guess we should wait and see. Other than the video, Nikon has created a dedicated website for the upcoming camera. There is still not much information there, but we’ll sure keep an eye on it, as well as on the other info related with the upcoming mirrorless cameras from Nikon. According to digicame-info, we will see the official presentation as soon as in the following couple of weeks! I expect them to not have a mirror.